Ed Dancker, a native of Milwaukee, Wisconsin never attended college. In the mid-1930s, he signed his first contract with the Sheboygan Redskins and remained with the team for the next dozen years. When the team joined the National Basketball League in 1938, he quickly established himself as one of the best big men in the league. Dancker was slow afoot, but relied on strength and positioning to guard faster opponents. He was a powerful rebounder and was considered to best defensive center in the league for many seasons. 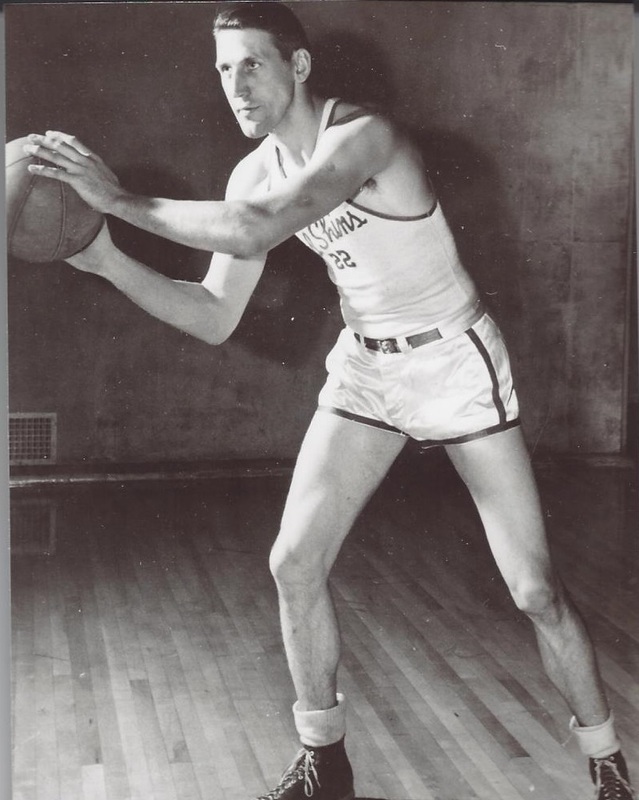 Dancker’s career was overshadowed for many years by arch rival Cowboy Edwards of the Oshkosh, Dancker was named to the NBL All-league first team three times (1943, 1944 and 1946.) He was also named to the 1939 Chicago World Tournament all-star team. Dancker led Sheboygan to the NBL championship finals five times, but they won only once, in 1943. Edward Charles Dancker Born: Mar 14, 1914 Died: Oct 3, 1991 Hometown: Milwaukee, Wi.